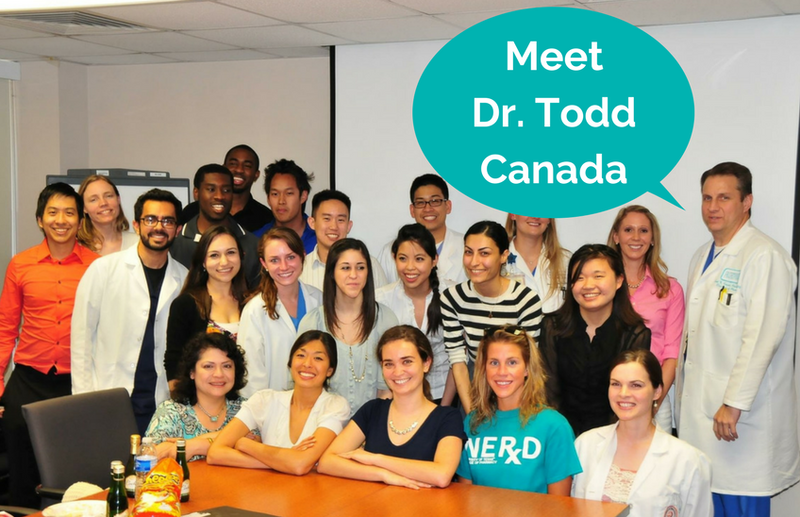 Meet your pharmacist, Dr. Todd Canada! Dr. Canada is Clinical Pharmacy Services Manager and Nutrition Support Team Coordinator, but he didn’t always know he wanted to be a pharmacist. After not getting into medical school (“I only applied to one like a bonehead”), Dr. Todd still wanted a degree where he could help others. Enter pharmacy! Pharmacists help people live healthier, better lives, so it was a natural fit. I prefer my role as a clinical pharmacy specialist in nutrition support. I offer education to patients, healthcare professionals, and families, while developing systems of safety surrounding it. I also supervise and mentor 15 other clinical pharmacy specialists in their career paths at my institution. I love the variety as no two days are ever the same it seems. Patient care seems to be always changing and there is always someone you can help. Not sure I have just one, as I have been privileged to see many former trainees develop confidence, poise, and responsibility about their role as a pharmacist. What do you wish someone told you in high school, as it pertains to your career? Pharmacy has many options and creating your career for the next 30 years can cover an enormous amount of opportunities that you can’t always see as a student or resident. What’s the best advice you were give? Find the inspiration in leading others—there is nothing like it. You can intentionally change their entire perspective about pharmacy. What do you believe to be the biggest misconception around pharmacy careers? We are no longer considered pill pushers or counters, we provide a role no other healthcare professional is trained for or wants to navigate. That always makes for 100% job security and reward for your assistance in managing a patient’s problem(s).